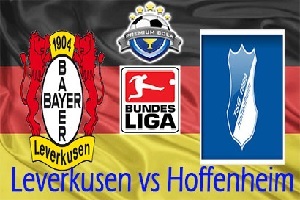 It is a game between Bayer Leverkusen and Hoffenheim. Their captain Simon Rolfes retired from football, but they still showed some very impressive pre-season games. Last year they finished in 4th position and I see them in top 4 teams again this season. Hoffenheim lost their captain ( who joined Besiktas ) and their top striker. No new significant additions to the team. Bayer won 4 out of their last 5 games with Hoffenheim and if we add the home advantage it is enough to put some money on it.